I DON'T SEE PAINTINGS HERE, I SEE MYSELF, MY PARENTS AND MY GRANDPARENTS. 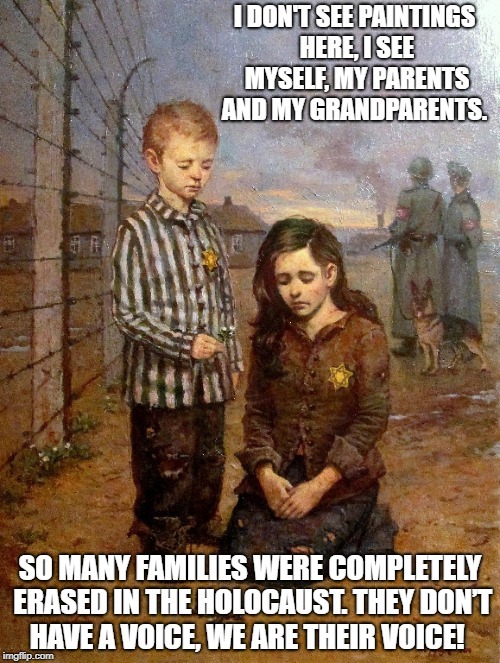 SO MANY FAMILIES WERE COMPLETELY ERASED IN THE HOLOCAUST. THEY DON’T HAVE A VOICE, WE ARE THEIR VOICE!